Nicole Richie has been in the media a lot lately. Some of it has to do with her reality TV show CandidlyNicole, which happens to be incredibly funny, but another part of it has to do with her ever-changing hair colours. From silver to lilac one can never get bored of these rainbow colours, and evidently other's (e.g. Kylie Jenner) have been following suit, as pastel hues are becoming a growing trend. Not only is colouring ones hair an unconventional shade adventurous, but it also says a lot about ones self-confidence. Nicole's ability to dye her hair any colour and walk with confidence says a lot about this fashionista and her ability to take risks. 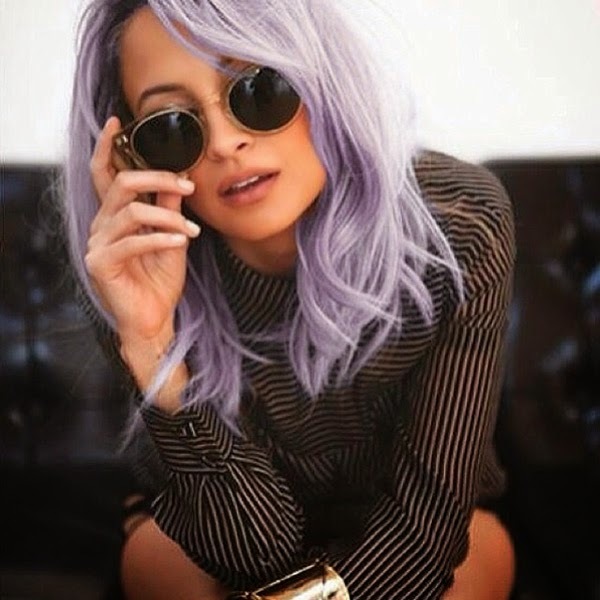 As I am a huge fan of pastel hairstyles, I have provided some of my favourite hair colours that Nicole Richie has donned in no particular order. This silver hair colour looks amazing on Nicole. 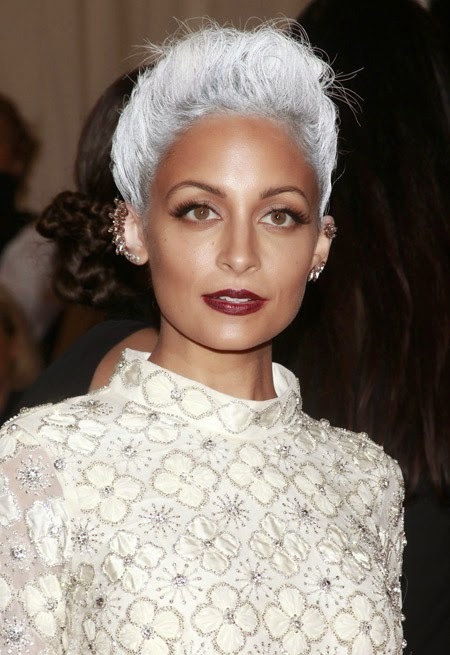 Normally silver or anything that resembles grey is something people cover up with hair dye, but Nicole Richie decides to go full out and definitely rocks this daring look. This lilac hue gives Nicole a playful and whimsical look. Again another hair colour that Nicole Richie effortlessly pulls off. Nicole goes blue for the Fall and yet again proves that she can pull anything off. Overall, Nicole Richie takes the crown as the pastel hair Queen and wears each new look with pose and confidence. Which of Nicole's looks are you a fan of, if any? Feel free to leave a comment below and don't forget to Follow my blog with Bloglovin!